Sariska is probably one of the most visited parks in India. Unfortunately though, the main reason for this is not wildlife enthusiasm but only it's excellent proximity to some large towns like Delhi and Jaipur. The park was, as with many other parks, the hunting reserve of the royal family in the area. 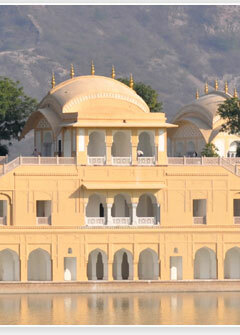 In this case, it was the Royal family of Alwar. The reserve was declared a wildlife sanctuary in 1958 and came under the "Project Tiger" as a tiger reserve in 1979. The park covers quite a large area of 800 square kilometers, 480 square kilometers of which form the core area of the national park. 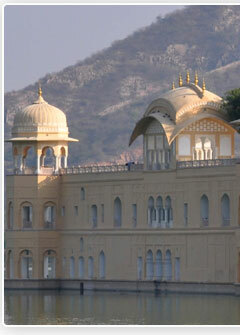 It is located among the Aravalli hill ranges in the Alwar district of Rajasthan. Due to the presence of monuments of religious importance located within the park boundaries, the park authorities are compelled to keep the park open throughout the year. Unfortunately, the only restrictions they are able to impose during this "off-season" period are those on entry into the jungle routes. The main road is kept open all year round. The season during which the jungles can be properly explored is from November to June. The summer months are better for animal viewing but are extremely hot with temperatures going up to as high as 49 degrees centigrade. In the winter months, the temperature touches a low of 4 degrees. 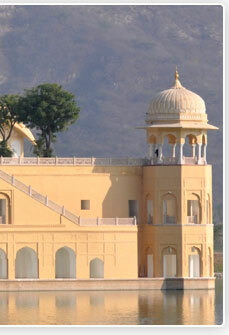 The nearest Railway Station to the park is also located at Alwar. The park is very easily accessible from Delhi too. 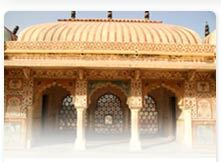 It is a 3 hour journey via the Daruhera - Alwar - Sariska route which is under 200km. 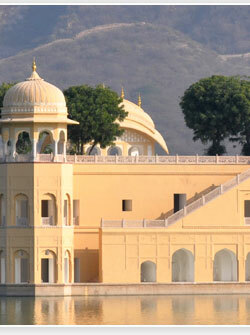 It is also possible to go via the main Jaipur highway, by which the distance gets extended to approximately 240km.